FROM today, NSW residents will have to follow a new road rule that will see them slow down to 40km/h around emergency vehicles. A 12-month trial period for the new law starts on September 1, with the NSW Government to work with police to monitor the impact it has on traffic and road safety. Under the rule, motorists will be required to slow down to 40km/h when passing a stationary emergency vehicle - which includes police cars, fire engines and ambulances - displaying blue and red flashing lights. A lesser known part of the law will see motorists having to give way to any pedestrian in the immediate area of the emergency vehicle. The change comes as part of a push to provide extra protection for emergency workers when they are stopped on the road, as well as for the people they are attending to. "The new road rule will provide extra protection for all emergency workers and volunteers who respond to crashes and other incidents on our roads," Bernard Carlon of the NSW Centre for Road Safety said. 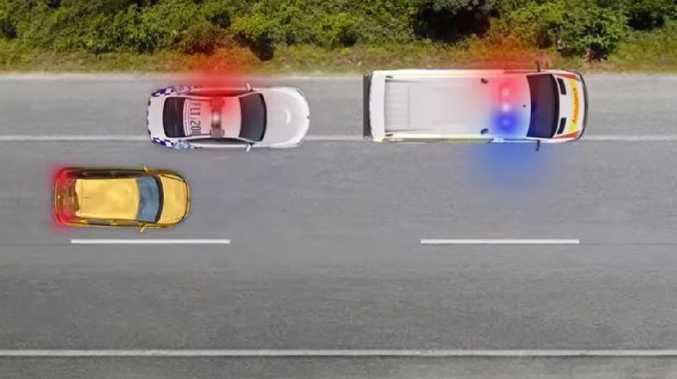 When you see the blue or red flashing lights on an emergency vehicle stopped on the road, safely reduce your speed so that you are not exceeding 40km/h when you pass. 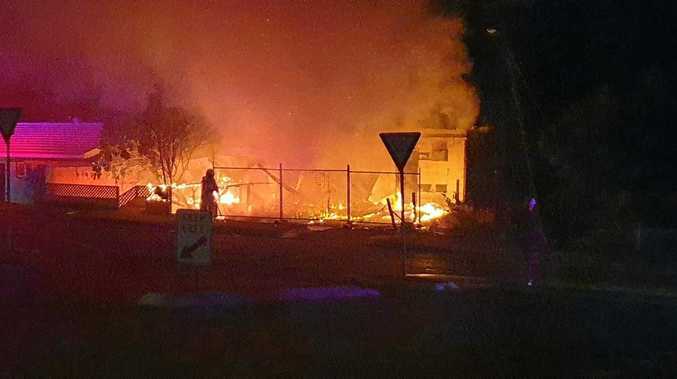 "Keep to 40km/h until you've safely passed all people and emergency vehicles," Mr Carlon said. Vehicles travelling in both directions are affected by this rule, unless the road is divided by a median strip, in which case only the motorists travelling on the same side as the emergency vehicle must slow down. Drivers must keep their speed at 40km/h until they are far enough away from the vehicle to avoid causing danger to anyone in the vicinity. For example, when passing a fire truck with flashing lights and the driver can see firefighters working on a blaze a few metres up the road, they should maintain a lower speed for longer than if they were just passing a police officer who had pulled over a driver. "We want to ensure that people protecting us on our road network don't become casualties while doing their jobs," Mr Carlon said. "This rule will give extra protection and confidence that at the end of a shift they can go home safely to families and friends." Drivers caught not following this rule will cop a $448 fine and three demerit points, along with a maximum court penalty of $2200. 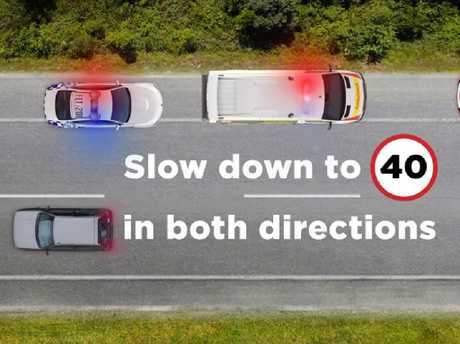 Similar rules are already in place for Western Australia and Victoria, with all motorists required to slow down to 40km/h around stopped emergency vehicles. In South Australia, the speed limit is even lower, with drivers made to decrease their speed to 25km/h. Is this Australia’s most obscure road rule?